Are the US and China About to Face off Over American Fighter Sales to Taiwan? If the Trump administration approves a recent request, it could set up a major crisis. The United States and China appear to be heading toward a major confrontation over the possible sale of American fighters to Taiwan. 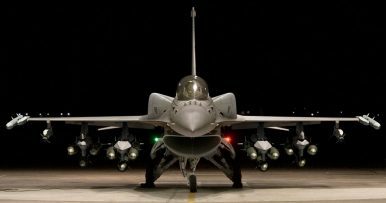 Last week, Taiwanese President Tsai Ing-wen confirmed that the country’s Ministry of Defense had submitted a formal request to Washington, D.C., to purchase F-16V Viper fighters. Tsai said the decision to make the request was supported by a review of Taiwan’s defense needs. Days later, Bloomberg News reported that the White House was poised to approve the Taiwanese request. Even as the Obama administration and the Trump administration have approved weapons and spare parts for sale to Taiwan, fighters have long been seen as a bridge too far given Beijing serious reservations. The United States authorized the sale of 150 F-16 fighters to Taiwan in 1992. The Obama administration, after receiving a request from Taipei, turned it down, initiating a set of upgrades instead to Taipei’s existing fleet. The issue hasn’t gone unnoticed in China, where Taiwan is seen as an inherent part of the country. Relations across the Taiwan Strait have been particularly strained since Tsai’s inauguration in 2016. The Taiwanese president hails from the independence-leaning Democratic Progressive Party (DPP), though she herself has not explicitly supported independence — long a red-line for Beijing — Tsai, however, has refused to endorse the so-called “1992 consensus,” which her predecessor had supported and which forms what Beijing sees as the baseline for cordial cross-strait relations. “China’s position to firmly oppose arms sales to Taiwan is consistent and clear,” Chinese Foreign Ministry spokesperson Geng Shuang said during a press briefing on Friday. The prospect of a fighter sale to Taiwan this time comes at a time of particularly heightened U.S.-China tensions. The Trump administration has been known to seek leverage with Beijing across issues and it is possible that this may turn into the latest case of Taiwan being used a possible bargaining chip as Trump seeks to clinch a favorable trade deal with Chinese President Xi Jinping. Trump, however, has been unconventional on Taiwan policy in the past. As president-elect, he broke expectations by receiving a telephone call from Tsai. That call occurred at a time when Trump had yet to endorse the United States’ one-China policy as president — something that he did for the first time in February 2017. Either way, Tsai’s fighter request and the Trump administration’s reported acceptance could set up another major area of turbulence between the United States and China. Taiwan’s fleet of multi-role fighter aircraft consists of three squadrons of Mirage 2000-5/E/D fighters, three squadrons of the F-5E/F Tiger Ii, six squadrons of the F-16A/B Fighting Falcon, and five squadrons of the indigenously developed F-CK-1 Ching Kuo series of fighters.